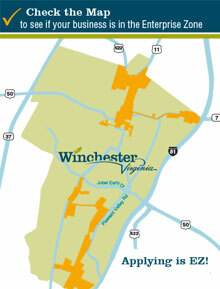 Winchester welcomes a variety of special events. Our goal is to work with event organizers to help ensure that events that take place in our city on public property are safe and successful, while minimizing the impact on the surrounding community. Please review the frequently asked questions below prior to planning for your special event or submitting the Special Event Permit application. Please download and complete the Special Event Permit Application for any parade, special event or filming/photography utilizing public property and submit it to the Winchester Police Department at least 60 days prior to the event. TIP: Be sure to download the application and open it in Adobe before completing the requested information. It will not save your information if completed while online. 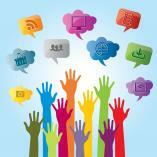 Submit your event to be considered for inclusion in the City’s online community event calendar. What is the City's definition of a "special event"? 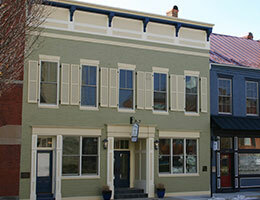 "Special event" means any public assembly which occurs on public property in the city of Winchester that requires the closure of city streets, sidewalks or parks or where it is anticipated that over twenty-five (25) people may gather and participate, or which requires licenses and permits by City departments beyond the assembly permit required by City Code (Section 14-147 through 14-157). What is the difference between a special event, public assembly and spontaneous event? Special Event - Any "public assembly" which occurs upon City property that requires the closure of city streets, sidewalks or parks or where it is anticipated that over twenty-five (25) people may gather and participate, or which requires licenses and permits by City departments beyond the assembly permit required by City Code. Public Assembly - Any meeting, demonstration, picket line, rally or gathering of more than 10 people for a common purpose as a result of prior planning that interferes with or has a tendency to interfere with the normal flow or regulation of pedestrian or vehicular traffic upon the streets, sidewalks or other public property within the city or that has the tendency to interfere with the normal use of any public property in a place open to the general public. Spontaneous Event - An unplanned or unannounced coming together of people, animals or vehicles in a parade or public assembly which was not contemplated beforehand by any participant therein and which is caused by or in response to unforeseen circumstances or events occasioned by news or affairs first coming into public knowledge within five days of such parade or public assembly. Is there a fee to submit a special event permit application? No. There is no fee to submit the special event permit application however; some fees may apply depending on the level of services needed from the City. If fees are required, any applicable fees will be discussed during the Memorandum of Understanding (MOU) development prior to your event. How far in advance do I need to submit the permit application? The City's Special Event permit approval process requires that all applications for special events and parades be submitted 60 days prior to the planned event to allow for review and processing. Public Assemblies require a completed Special Event Permit Application be submitted at least five days prior to the planned assembly. See above for the City Code definitions of special event and public assembly. When will I receive notice that my event has been approved? The Chief of Police, or his/her designee, shall issue the permit within three days of receipt of a completed application for a public assembly, and within 30 days of receipt of a completed application for a parade or special event. What are the requirements that my event must satisfy in order to be approved? The time, duration, route and size of the event will not unreasonably interrupt the safe and orderly movement of vehicular or pedestrian traffic or the normal use of public property in a place open to the general public. The event is not of such a nature that it will require diversion of so great a number of police and fire personnel to properly police the line of movement in areas near the event or impair the normal protection of the remainder of the city. The applicant has, where appropriate, designated monitors sufficient to control the orderly conduct of the event in conformity with the permit. The conduct of the event will not unduly interfere with the property fire and police protection of, or ambulance service to, the remainder of the city, or unreasonably disrupt other public services and protection normally provided to the city. The event will not interfere with another event for which a permit has been granted. The event proposed will not violate, and will comply with all applicable state regulations and laws governing the proposed event. If alcoholic beverages are to be served at the event, the applicant must comply with all applicable provisions of the State Code and local ordinances pertaining to serving and consumption of alcoholic beverages. NOTE: Nothing in City Code permits the Chief of Police, or his designee, to deny a permit based upon political, social or religious grounds or reasons or based upon the content of the views expressed. Denial of a permit on such grounds is prohibited. What if another permit application is submitted for the same date and time as my permit request? If two or more applications are submitted requesting a permit for an event to be used at the same time and place, the application first filed shall be granted if it meets the above referenced requirements. The City gives priority to regularly-scheduled events, meaning events which are conducted on an annual basis. What is an alternative permit? The Chief of Police, or his designee, in denying a permit for an event shall be empowered to suggest and authorize that the event take place on a date, at a time, at a place or over a route different from that proposed by the applicant. An applicant desiring to accept an alternate permit shall file a written notice of acceptance with the Chief of Police, or his designee. An alternate permit shall conform to the requirements of and shall have the effect of a permit under City Code Section 14-146 through 14-157.
Who can help me navigate the process? How do I rent a pavilion in Jim Barnett Park? 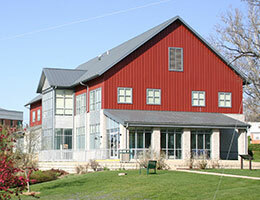 How do I rent the Taylor Pavilion on the Loudoun Street Mall in Old Town Winchester? What size tent(s) can I set up at my event? Allowable tent size depends on the area utilized for the event. However, any tent over 900 square feet or 50-person capacity, whether for a public or private event, must be inspected and have an Occupancy Permit issued by the City’s Zoning and Inspections Department. Please contact the City’s Zoning & Inspections Department at (540) 667-1815 for further details or to schedule an inspection. What is required if I plan to use a temporary structure such as a stage, inflatable, bleachers, etc. at my event? If temporary structures will be used, permits, insurance and an inspection are required. Please contact the City’s Zoning & Inspections Department at (540) 667-1815 and the City Fire Marshal’s Office at (540) 662-2298 for further details. All state and local ordinances must be followed when selling or serving alcohol at an event on public property. NOTE: Alcohol is not permitted on park grounds. Event organizers must obtain and submit a Virginia ABC permit; comply with state code and 16-32 and 14-150 of the City Code. Additional security requirements and fees may apply. The event must have a permit from the local Health Department at least 30 days prior to the event. The Health Department will request a list of vendors expected to be in attendance. Contact the Health Department at (540) 722-3480. Contact the Fire Marshal’s Office for a copy of the fire safety guidelines for vendors and exhibitors and to schedule an inspection of the vendors’ set up. The City requires a certificate AND endorsement page of a General Liability policy in the amount of one million dollars listing the City of Winchester as additionally insured. The endorsement must be issued by the insurance company. A notation on the certificate of insurance is not sufficient. There may be additional insurance amounts required for other permits and approvals depending on the anticipated activities. The event organizer must submit a vendor list to Winchester’s Commissioner of the Revenue and Fire Marshal in advance of the event. All vendors except those selling unprocessed food products must have a current business license. Contact the Winchester Commissioner of the Revenue at (540) 667-1815. The collection and filing of any applicable taxes will be the responsibility of the individual vendor. Who do I contact to use any of the four downtown parking garages for an event? Can we rent the garages to provide free parking during the event? Do I need portable restrooms? The Health Department requires one portable restroom and one hand washing station per 100 people (include at least one handicap accessible portable restroom in total). What if I am planning a public special event on private property, do I need a Special Event Permit? The City’s Special Event Permit is not required for events held on private property, however, organizers will still need to follow applicable City Code and permit requirements such as inspection and permitting of inflatable devices and collection of admission tax if charging an admission fee. All applicable permits issued for the event on private property must be present onsite and available for viewing if requested.